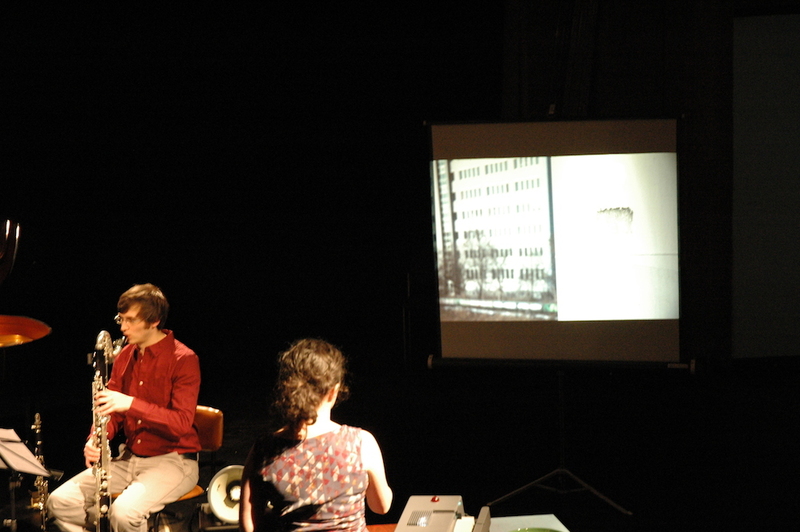 Trio Transmitter presented two world premieres that explore contemporary music in an interdisciplinary context: a commission from the Spanish composer Nuria Núñes Hierro, and a work by ensemble founder Florian Bergmann. The starting point for both compositions was a search for an individual perspective about how music can relate to other media. Therefore, the performance reached beyond the typical acoustic presentation, inviting visual and performative elements into the concert situation.